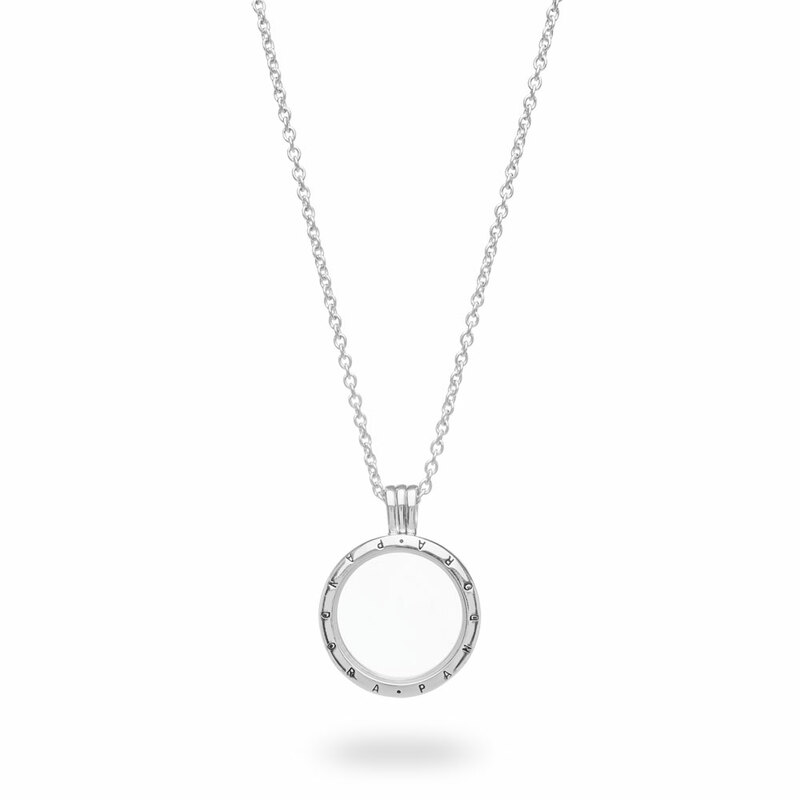 Cherish your unique memories in a vintage-style way with PANDORA's innovative floating locket. Classic and elegant in design, its sterling silver frame and clear glass walls lovingly display and protect your meaningful treasures. This medium locket can display 3-4 petites making them appear as if they are floating in a miniature universe. Available in concept stores and online. PANDORA Medium Floating Locket Necklace with Pendant is rated 4.8 out of 5 by 42. Rated 5 out of 5 by Quiltie from Petite Locket My daughter in law started me off with some of the charms. I have 4 (maybe 5!!!) regular bracelets with the charms so this was new. I have received many compliments on the necklace! Will be adding new mini charms soon. Rated 5 out of 5 by Marieliz from Love it The best necklace from pandora in love with it so beautiful and so many compliments in it !! Rated 5 out of 5 by Jan1 from Better in Person! The pictures do not do justice to this locket. It's even prettier in person. Very good quality, just like all Pandora jewelry. Rated 5 out of 5 by jing from beautiful pendant I brought this beautiful product a month ago and I love it. it is stunning and I've been wearing it everyday.